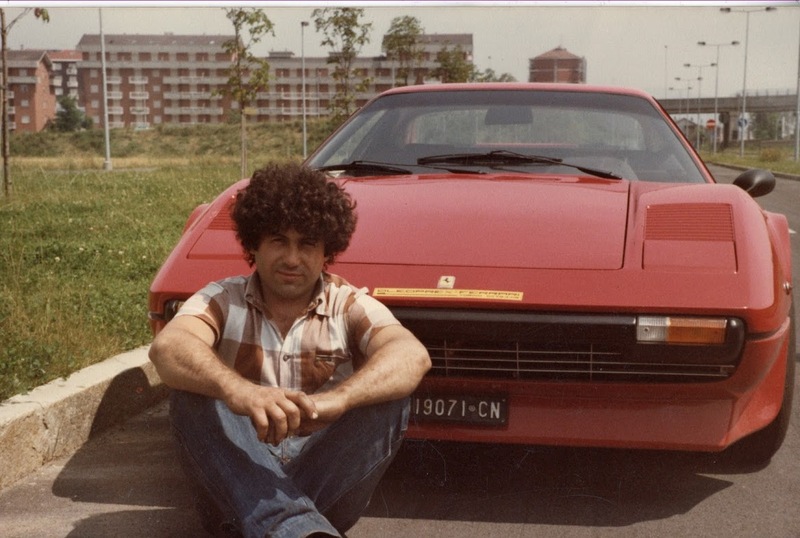 William Ferrari was born in Ferrara in 1946. 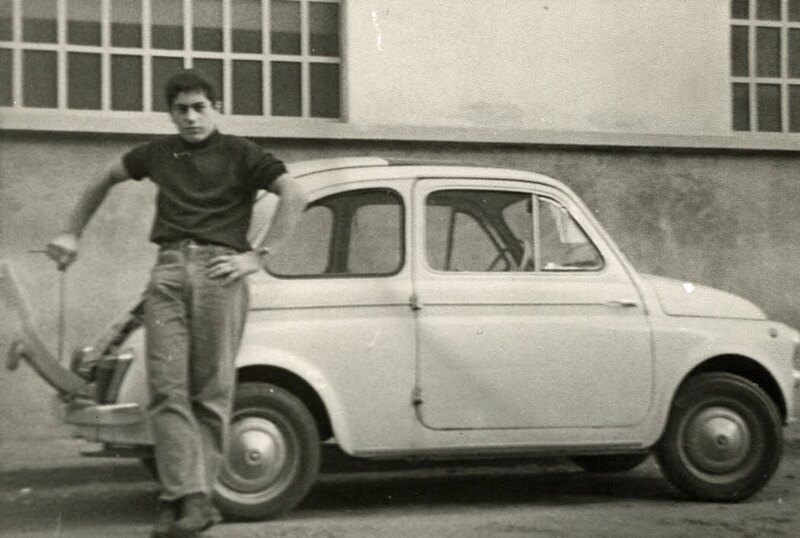 At 14 he became an apprentice in the Tonello Germano’s workshop in Turin. Here it repairs an Alfa Romeo 1900 Super prepared by Conrero and recognizes its vocation. The roar of the four cylinders is an unforgettable symphony for William. His passion flares up and pushes him to become a car repairer and preparer. Just turned 16, William meets Piero Sardo, former head of the Ferrari dealership in Turin in Corso Vittorio Emanuele, then passed to the team elaborations of Conrero. Maserati, Ferrari, Aurelia B10, B20, B24, Alfa Romeo Giulietta Sprint Veloce are the legendary cars on which the young talent will run his passion. 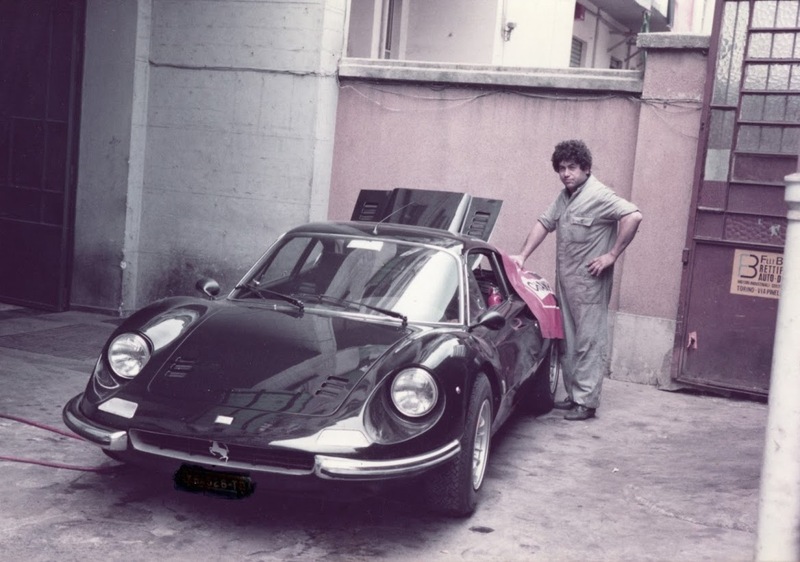 In those years he participates in the repair of the engine of a Ferrari GTO Scaglietti. 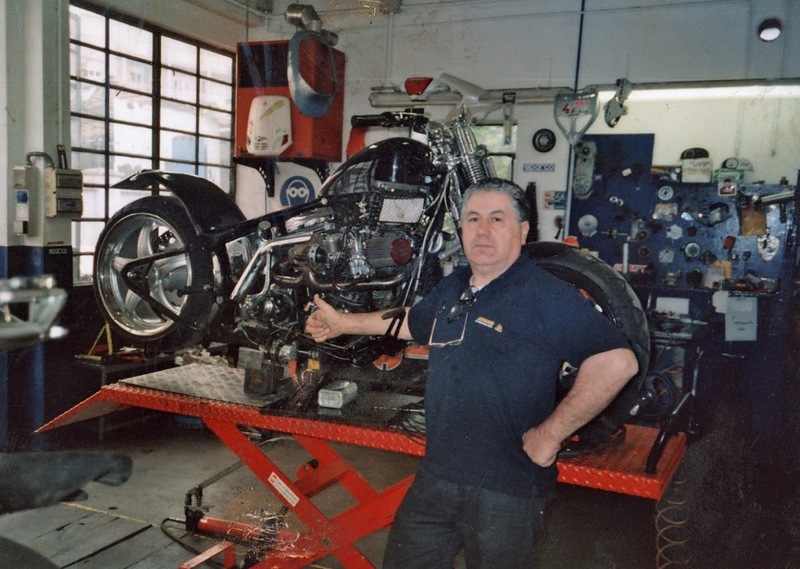 With the accumulated experience he opened his workshop in Corso Francia in Collegno to repair and prepare super cars. 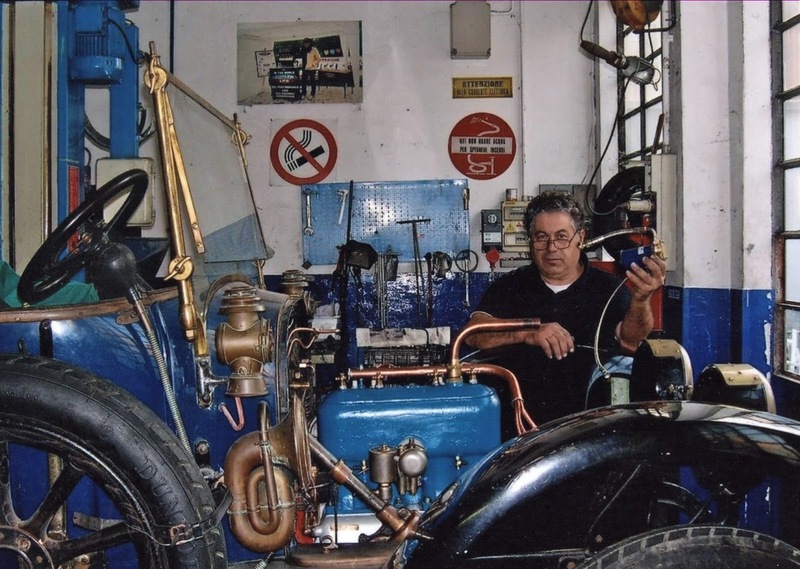 In 1969 he developed the engine of a Volkswaghen Beetle bringing it from 1200 cc to 1500 cc. On this small German sedan also installs the 4 in 1 exhaust built by his father Esdro. The changes will win many bets against cars of higher category. But the real explois is the development of the engine of a Fiat 500. William has a dual-body carburettor with split pipes and twin spark ignition with two spark plugs. Also in this case the father Esdro must create a tailor-made exhaust system. In fact, the displacement of the car grows up to 860 cc that for those times is an unprecedented unprecedented. That car participates in several slalom racing events and always wins. n the same year William became an official mechanic of the Sa.Fa. – Holy Family Autostyle that collects and satisfies the exuberance and passion of the young scions of Turin good of those times. In 1971 he prepared a Fiat 124 Spider 1600 and assisted her while participating in the Monte Carlo Rally. Then he set up the Fiat 128 GR 2 from Rally, which won the second Snow Trophy as the first overall. In 1972 he took part in the Marche World Championship as a mechanic at the Mille Kilometers of Monza and later at the Targa Florio, always next to the Volta brothers. Cares the Chevron B21 cars that win in the Sports class in which they participated. In 1973 the fulminating meeting that will mark his whole life: a friend will give him the prestigious Jaguar MK2 3.8-S. The car is champagne-colored and has a fused engine for a trivial problem with the oil filter. The engine lies disassembled in three cases and William wonders how to avoid the repetition of the damage. First of all, the comeback. Then he prepares to test it. Note that during the cold start, the automatic starter causes the rotation to 1500 revolutions, but the oil pressure does not align, causing a worrying delay in reaching the operating pressure. A problem complained of by many super car owners. At this point William has the intuition: thinking of how the petrol pumps work wonders what would have happened by applying the same principle in the oil circuit. It must be created by itself because there is nothing similar in commerce. This is how the Oleo Prex electromechanical pump was born, which stabilizes the oil pressure automatically. Thanks to that idea, the Jaguar comes back to life and even today William can guide it. In the same year he prepared an Alfa Romeo GT Junior 1300 cc. GR 1, which is driven by the “Bellamì” rider on the 4-hour junior track in Monza, will win his class by marking the new track record. After obtaining impressive results with the assembly of the device on the most different types of cars, in 1978 he decided to patent the device, meanwhile evolved from the initial design with substantial changes, which will lead to its current and definitive conformation, the Cooler Life. In the 79/80 season, as preparer, will follow the preparation of a Formula 3 ex Monzeglio Corse, with a GRD of the Astigiana Corse stable for the Slaloom Trophy of the Wines of the Langhe, in which, with the car conducted by the pilot Sergio Valle , will collect 12 trophies as the first overall on 15 races in which he participates in the engine he revised, on which his device was installed. In the 80/81 season will be challenged with the preparation of an AlfaRomeno GTA 1600 Pista, obtaining also in this case numerous successes. Currently the car is on display at the Stuttgart Automobile Museum. Satisfied with the successes in the competitive field, William definitively abandoned the competitions and dedicated himself to both historical and sport collectible cars.